Turning out a unique blend of Chinese and Indian flavours with favourable results, HAKKA is one of Woodbrook’s most popular restaurants! HAKKA’s menu offers up dishes like the Chili Garlic Noodles, Hakka Chinese Salad, Pepper Salt Prawns, Beef Manchurian and Date Wontons (for dessert). Click HERE to see our most recent HAKKA pictures. Features/Good To Know – Full service; Full bar; Outdoor seating; Reservations are strongly recommended; Restaurant can be rented out for special parties; Takeout window service is available for lunch specials; Secure parking is available. I had tasted Hakka on a few occasions when my daughter brought me a “doggie” bag and I liked it. Since then I have purchased my own meals there and I absolutely love it! That melongene though, simply love it, cannot remember what it is called. I love their food and I love the taste of the kongee chicken but it is always so tough, then you realize all the taste is in the sauce. Why is it so tough and dry. I’m yet to taste a tender kongee chicken. Exceptional taste. Reminds of Thai cuisine; my favourite. It’s really a hidden treasure! I honestly did not believe Hakka was going to survive from my last visit two years ago. Lo and behold, this past Sunday when I drove by it is still in business. No. I did not go in. Having had two bake and sharks in Maracas Bay beach earlier I have no room for any more food. Late Sunday afternoon Woodbrook, where Hakka is located, is almost completely deserted. I must say the food is pretty average from my experience two years ago. I am Chinese, and of Hakka decent no less. The dishes are pretty salty and spicy, too much for my palate. Then again, I go to Trinidad to have street food such as bake and shark, roti, buss up shot and the like. Sorry I did not mention doubles because double is the only Trini food I do not care for. Sit down formal dining is not Trini food is famous for. I am also a traditionalist. I want my unadulterated Cantonese light fares. Steamed fish with scallion, fresh seafood and stir fried veggies. Fushion is not my cup of tea. So there you have it. If you do not like fusion you will not like Hakka. Believe me if you go there to search for Hakka (dishes) you will be very disappointed. Had dinner one week ago..the food was pretty ok…but to my surprise i had barely finished my dessert (was having the last mouthful) when a waiter (and not the one who served us) came up to say that he needed the table for another customer. It was my first visit to Hakka and my partner actually said that I would like it there, but i must say I have never had that experience before and was visibly embarrassed. My partner apologized to me but the damage was already done, and of course it was not his fault, Needless to say that was my last visit…. I would really like to taste authentic Hakka cuisine. I have always enjoyed the food at Hakka and continue. Their food is delicious and compliments to the chef and management.. The Management at Hakka Restaurant & Bar needs to revisit the policy regarding Service charge on Takeout orders! it is unfair for pick up customers to be paying the same charge as the partons who sit and dine. Are you all so dishonest and desperate to capture every dollar that you find it necessary to impose ridiculous fees on unsuspecting customers? You may decide to delete my comment but it does not matter because many would have already seen it and it would not change the fact that you all are unethical and dishonest! if it is on the system it could come to hell off! Hi Ria, just for the record we are not affiliated in any way with Hakka. 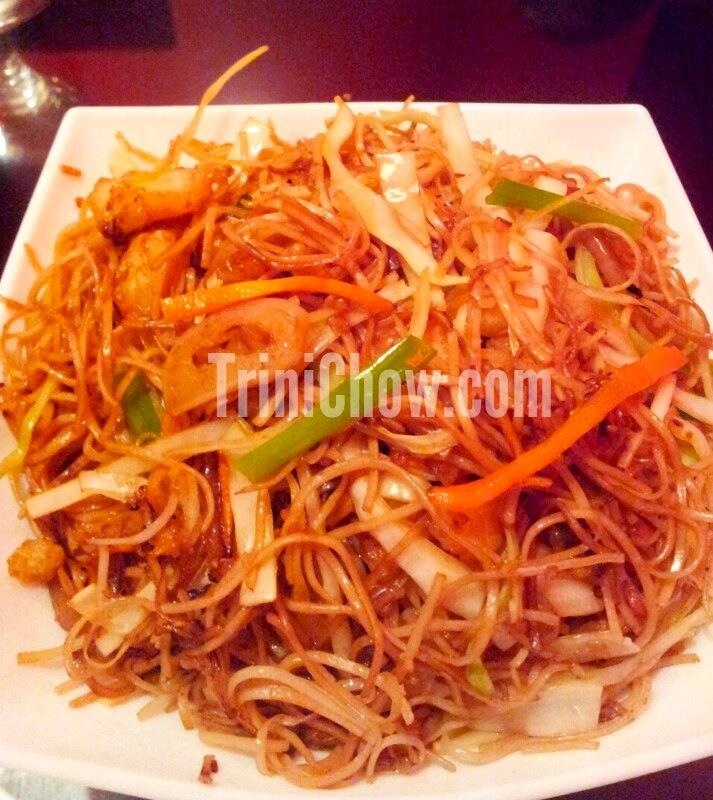 (TriniChow is a blog that covers the food scene in Trinidad & Tobago.) With that said, we encourage you to contact Hakka directly to share your feedback as most restaurants are keen to hear feedback directly from customers. Ok, thanks so much Ria for your response. Your first comment was written in the second person so we thought you were directing the comment at us as though we are affiliated with Hakka. Ria, I completely agree with you that paying this service charge is ridiculous and unethical since no service is being provided. It’s probably illegal as well. I called in a pick up order and I challenged the person taking my order about the service charge. She said that there is indeed a service charge for pick up orders. Her exact words were ‘We get many complaints about it. but the owners say they not changing it. I jus taking the orders that is just how it is.’ So yes we need to make everyone aware and more. It’s a real shame since it is one my fav restaurants and the food is absolutely delicious. I really hope that management step up to the plate. Is this a branch of the same Hakka at Gulf City which was closed by the city corp. for being unsanitary? No, this is Hakka in Woodbrook. Amazing experience at Hakka last weekend. Ambiance, service, food A + plus it didn’t leave a huge dent in our pockets. Went there for my birthday,BIG MISTAKE!!!! The Kongee Chicken was not crispy but HARD and very sweet and all the other dishes had no taste, just the same brown sauce with different meat. Won’t be doing that EVER again! So sorry to hear you didn’t like your meal. We usually enjoy our meals there. I am amazed; been there twice and the food was delicious!